Play LED Corn Hole Baggo game even in the dark. 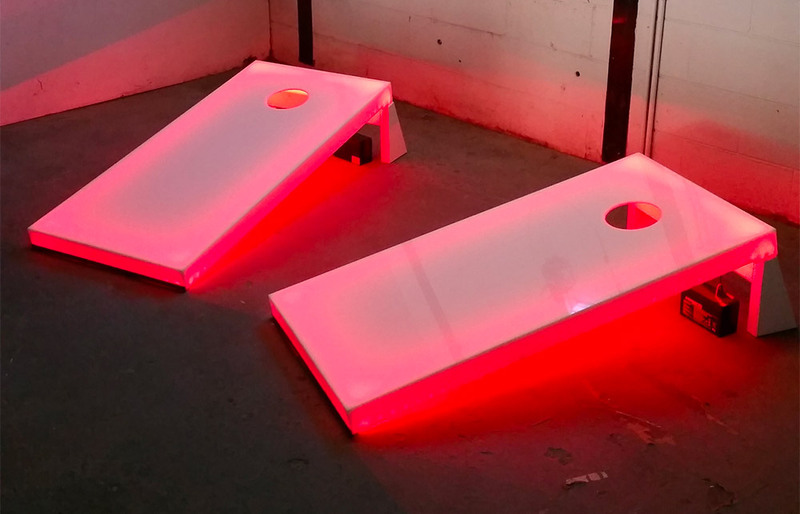 LED Corn Hole Baggo Game from Video Amusement is taking tailgates and backyard games in San Francisco, San Jose, East Bay, Monterey Bay and entire Bay Area by storm. 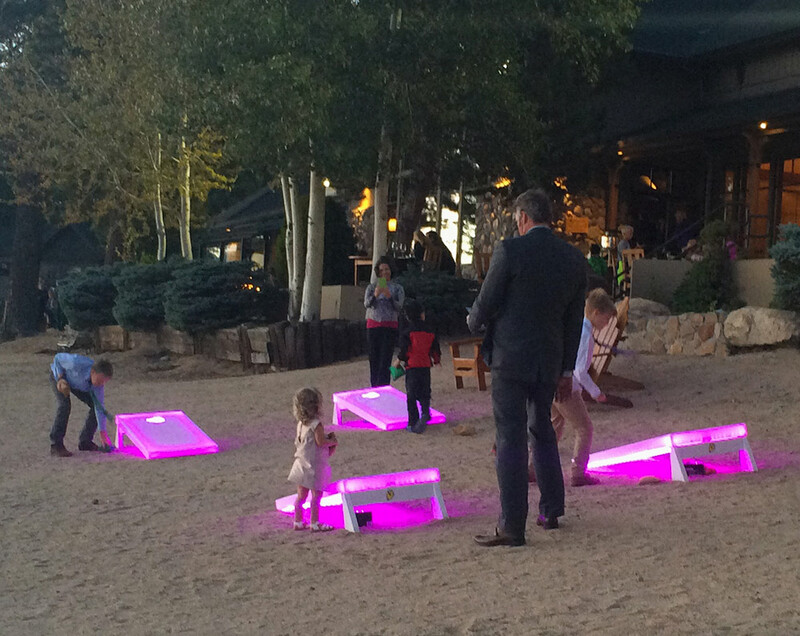 Play at the beach, the park, office, or wherever you want. 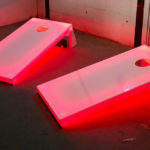 LED Corn Hole Baggo Game for rent is a genuine play set for your next event or party. The set comes with foldable regulation size corn hole boards. The boards are are 2 feet by 4 feet and 8 2-color bags. 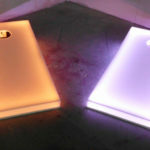 Our LED Corn Hole games rental are so awesome you can play during the day or even in the dark. 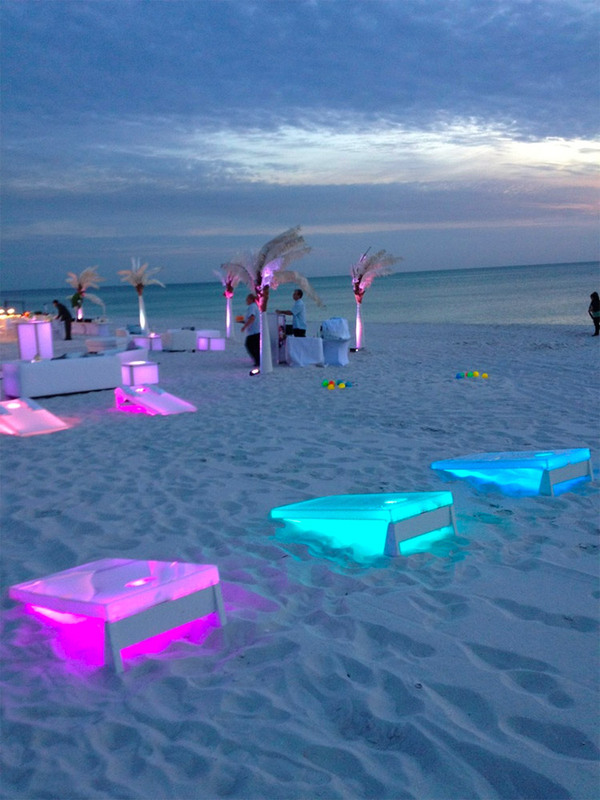 They are lit up by color changing LEDs. You can change the games to one color or cycle through the various color options. LED Corn Hole Baggo Game for rent is a perfect game for your corporate event. As well as, tailgate party, college game day event or even for your church function. 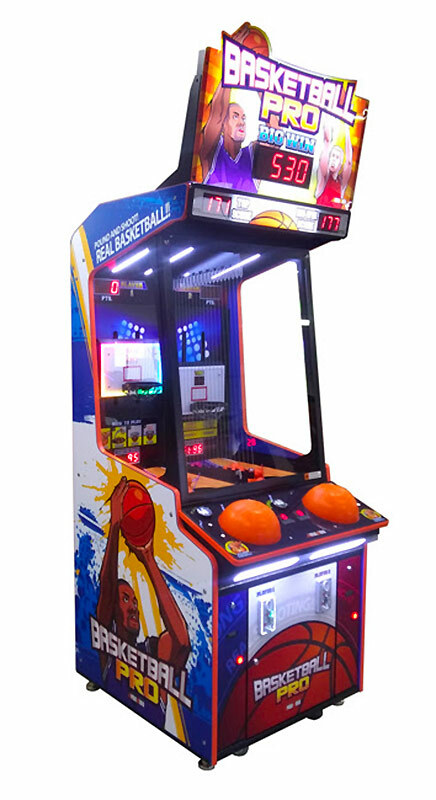 Whether you rent one set or multiple sets for a tournament we have you covered. 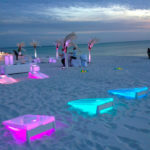 You will make your event something your guest will remember. 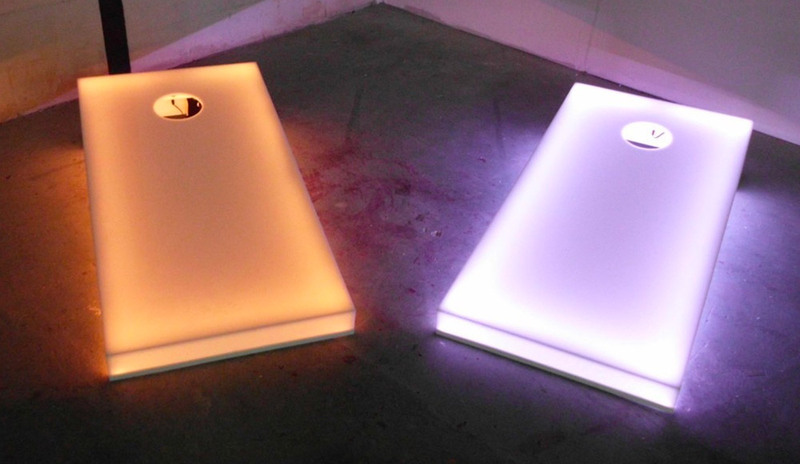 The LED Corn Hole Baggo Game is simple to play with basic rules. If you are playing with just two players, throw from the same side then walk over to the other side after all 8 bean bags have been tossed. If you are playing with 4 players you will stand across from your teammate and compete against your opponent. To score points you must land your beanbag on the board to score 1 Point. If you are a champ and make it into the hole that will score you 3 points. 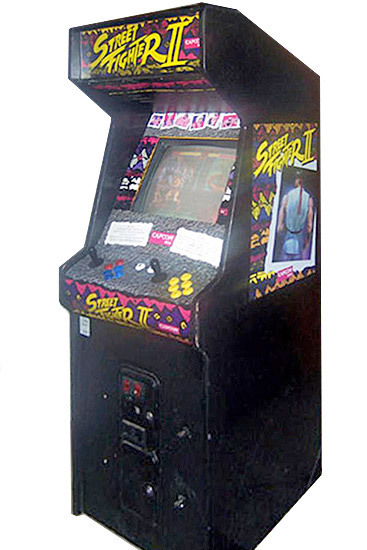 The first player to score 21 points is the winners. 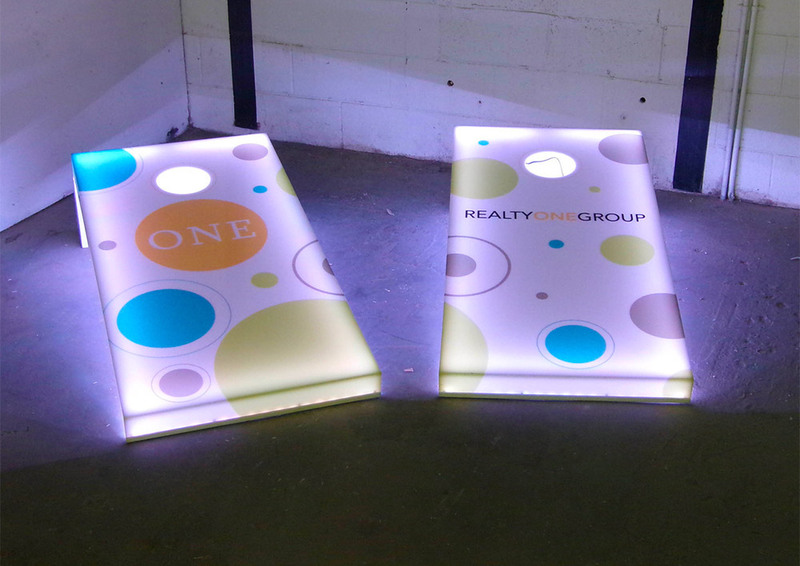 Interested to get the LED Corn Hole Baggo Games rental customized? 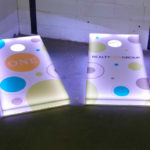 Call us today and ask about customization and branding options. The boards can be branded with you company logo or branding or colors of your favorite sports team. 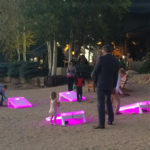 Video Amusement delivers our LED Corn Hole Baggo Games in California, San Francisco, San Jose, Santa Clara, Santa Cruz, Palo Alto, Monterey, Sacramento, Los Angeles, San Diego, Silicon Valley, East Bay, Central Coast and Bay Area cites as well Las Vegas Nevada. We have multiple units in stock and ready for your guests to enjoy. 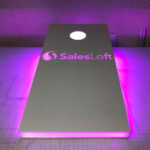 Our LED Corn Hole Baggo Games are battery operated and do not require electricity.